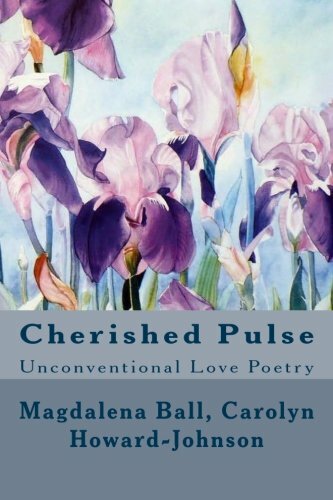 Cherished Pulse is the first in the Celebration Series of chapbooks. It looks at love from a wise, mature, sensitive perspective. Never sentimental (forget Hallmark), the poems explore love in its many guises — cherish, longing, sensuality, and that sacred place between desire and consummation. For less than the cost of many greeting cards, Cherished Pulse makes the perfect Valentine’s Day or Anniversary gift. Pair the book with a rose, and you’ve got the ideal gift for the special someone you love. “Magdalena Ball’s poems in this collection display a considerable interest in, and enthusiasm for, nature, both on this planet and in space. This is appropriate for “unconventional love poetry” as love for someone else often makes them seem to be everything (ie, the universe); it is also not what we expect since, on the face of it, love has no connection with outer space or the natural world on earth. This particularly appeals to me. The awe in which we hold the cosmos together with its beauty and loneliness also make it ideal for poems about love. For instance, “Galactic Collision”, one of my favourites, is about the virtually catastrophic fusing of two people in love with each other. The comparison of a human heart to a black hole is amazing, bold and apt: after all, a black hole is so powerful that nothing — not even light — can escape it. And true, deep love, draws us in and won’t let go. She then goes on to underline this by going to the other end of the scale: light (“black hole/ expanded into a cartwheel blaze”). Love it. Don’t let age blind you.